Every week people from all over the world to our pizza school and learn how to master the art of pizza. Most people want to open a fast-casual pizza chain or always have had the dream of just owning their own pizza shop. Whatever it is you looking to learn we think it’s great. We are here to help you achieve that goal. If you looking to open a fast casual chain and it really is the hottest trend in pizza the Segment. We are fast casual consultants and the leaders who are helping new concepts develop and even fixing some old ones as well! 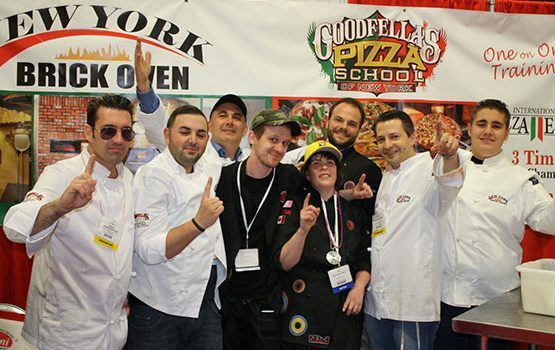 We offer complete one on one training at the pizza school of New York . Students can learn at their own pace to be professionals at what they do! 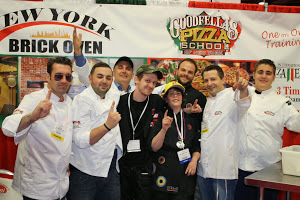 They will train directly with the International Pizza Champion Team and learn the secrets of great pizza ! We teach all kinds of pizza styles New York Brick, Neapolitan, Square, Thin crust, Gourmet pizzas, dessert pizza, you name it we can do it for you! You will also learn how to make pizza dough, how to manage pizza dough, all types of four use and what kinds work best. Gourmet sauces, gourmet toppings, bread baking, world champion pizzas, as well as all the secrets of successful pizza management. All done one on one we teach one student or group only per week! classes are limited to 50 per year , book early.